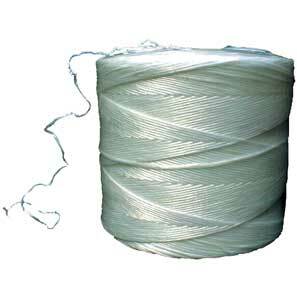 Poly Baling Twine. For use with commercial baling machines. 80 lb. tensil strength polypropylene fiber. Rot and rodent resistant. White, light weight. 7440' per 5 lb ball.